The FIA has communicated to Pirelli the teams’ chosen tyre allocations for the upcoming Azerbaijan Grand Prix where Ferrari will rely on less soft tyres than its rivals. 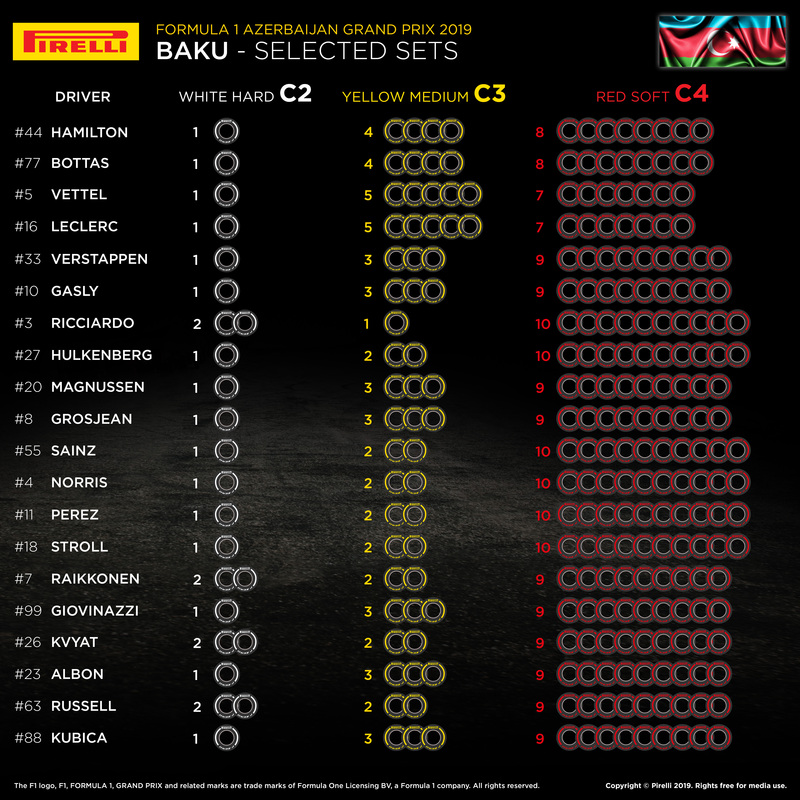 Pirelli will bring its C2 , C3 and C4 compounds to Baku, but Sebastian Vettel and Charles Leclerc have each gone for seven sets of the red-rimmed soft tyre, one set less than Mercedes drivers Lewis Hamilton and Valtteri Bottas. Subsequently, Ferrari’s chargers have chosen five sets of the medium tyre with Mercedes’ drivers opting for four sets of the yellow-rimmed rubber. Red Bull’s max Verstappen and Pierre Gasly have chosen to use nine sets of Pirelli’s soft tyre in Azerbaijan, but Renault, McLaren and Racing Point have all stocked up on ten sets of the red C4 compound. The post Ferrari selects less soft tyres than rivals for Baku appeared first on F1i.com.